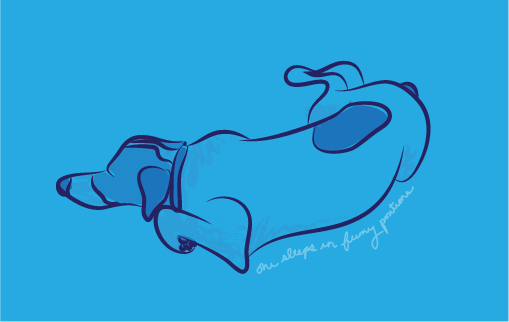 Here’s a little doodle of an awkward position my dog Oni was sleeping in recently. The word “awkward” is pretty awkward in itself too, I think. I suppose that’s pretty fitting!